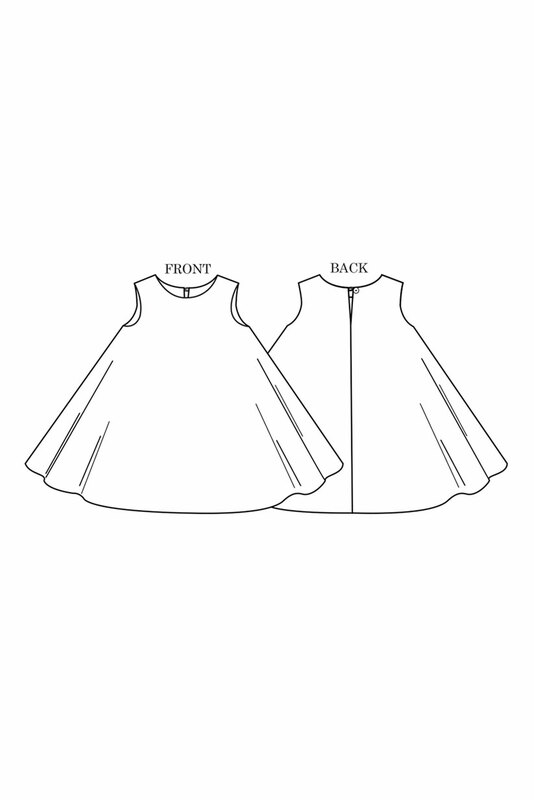 Little girl pattern for ages 3, 4, 5, 6, 7, and 8 years. A charmingly simple interpretation of our Trapeze dress with a huge amount of swish factor. 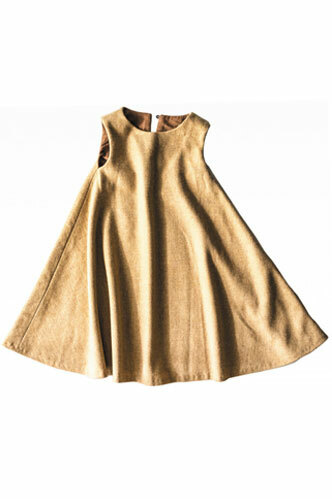 The Trapezette is simple to make with a single button back neck opening and rouleau loop and fully faced armholes and neck for small people comfort. We have made our sample using a medium weight soft wool. We recommend light to medium weight wovens such as linen, soft denim chambray and fine cord. Soft wools and tweeds are also suitable for colder climates.